How is it that 'being Black is to be inferior' in corporate Brussels? I am interviewing professionals, entrepreneurs, students on their perception and experience to be Black or Brown in corporate Brussels. So far, quite often, professionals told me that “being black is to be inferior“. To be successful with your career, I believe that you should fully embrace who you are and find workplaces where they will expect that you bring your whole self to work. Here are nuggets of these conversations. I intend to make it a series. Professionals in the below stories asked me not to reveal their name. 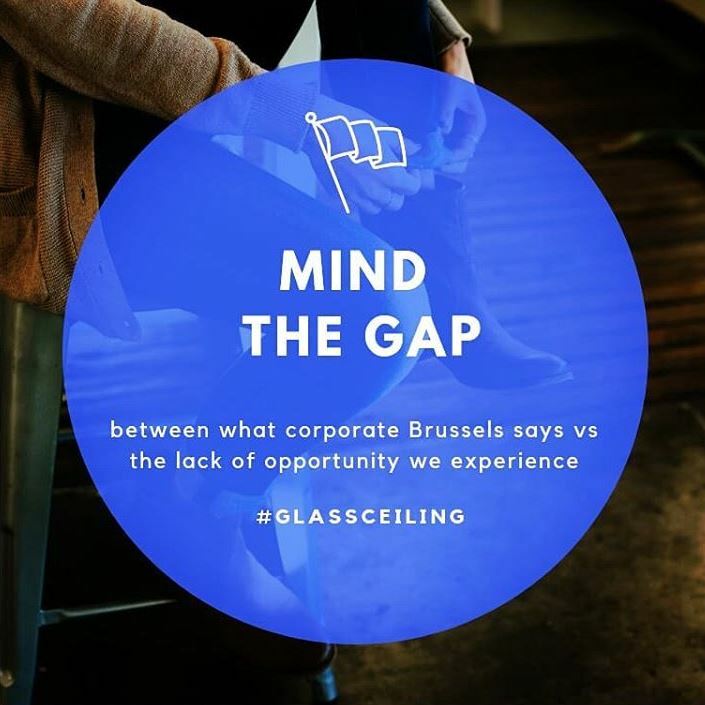 “There is a gap between their employer branding – when they say things like ‘we are a company open to all cultures and religions‘ – and the glass ceiling we experience. They may hire you in a sales function for example in a call-center but you will not reach management positions when in fact you have the required skills and credentials. Sometimes, you see people holding management positions who do not have the right skills. I went from managing a team of 20 people to 100 people. I am a girl, with origin from Morocco, Muslim, wearing a veil / hijab and I am French speaking. I am fluent in Dutch but not native. If I was native in Dutch, my chances would be higher. I have passed tests with the VDAB and they wonder why I was going to them as my Dutch is good they found. “I started working 20 years ago mainly in international companies. I am fluent in French, Dutch and English. Often as the first and only black employee in the company, people look at you strangely. these people, all the same, etc. It is an enormous pressure. You also hear things such as ‘I don’t like the other black people but I like you‘. I came to realise that after considering me as a successful case, they try and hire a second and third black employee. But often on short-term contracts, the rationale being ‘they will never last the duration of the probation period‘. So, by opening the door via referrals, I always tell new recruits; ‘make no mistake, it is my reputation on the line‘. It is up to us to show our abilities and the value we bring to these companies. I have always found work easily, never considered my origin as an obstacle. But for the first time in my life, it has been a few months since I am job-hunting and it starts to creep into my mind. The hard part in interviewing for a job is when you hear nothing from companies. For the last position, I reached back to the HR Manager who promised an update quickly. Weeks later, still no news. What plays against me is that I am great at spotting where teams, systems, processes are dysfunctional. So, I end up doing much more than what is on my job description. Gaining the attention of N+2 and N+3 Managers or VPs. As a result, people who acted as team leaders or supervisors were scared of me, they fear that I will take their job. And I got not major career advancement proposal, no substantial pay rise versus the big money that I helped companies win. Selena has a Master degree and a PHD, now working in the non-profit sector, she is struggling with low-paid and temporary assignments. She is resolute to never return to corporate Brussels because she feels like she will never be considered for positions in line with her aspirations. Nathalie is contemplating a career change to become self-employed and start a consulting business. But her key question is ‘could it be feasible without an extensive corporate network’? Are they trying to attract talents from these communities and do not succeed? If you feel like sharing your story, would you send me a message? Born in Congo, I am committed to developing more inclusive workplaces. My passion is to enable others to achieve their potential and to advance equity in corporate Brussels. What is systematically happening in the mid-to-senior executive levels that you’re not reflecting the cultural diversity of the city that you’re in? ⟵As Black in corporate Brussels, how are you potentially perceive?